increasing qualified lead count and building brand recognition. who are looking forward to your follow-up calls and emails. 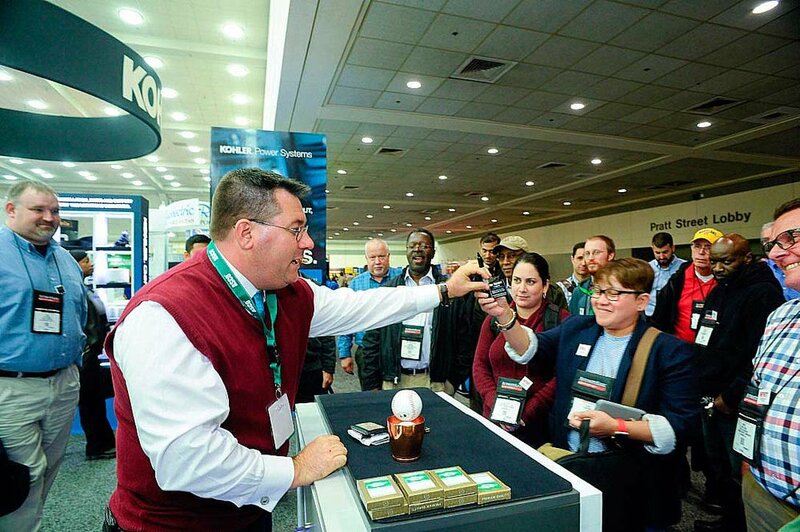 With incredible magic and mind-blowing mentalism, Mike Duseberg builds a huge crowd of people at your booth. 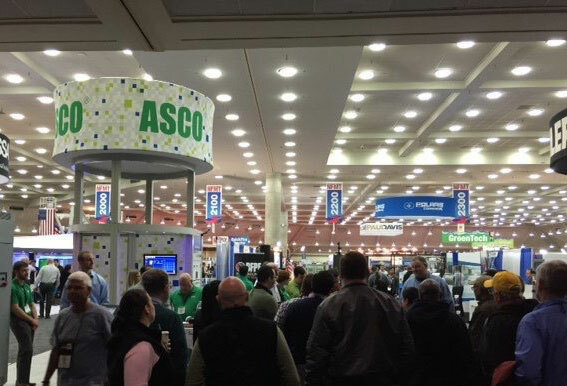 The excitement and activity make your booth stand out, which attracts even more people. More importantly, Mike focuses their attention on your booth and preparing them to learn about your company. Mike is an expert at working your company name and business message into his performance. As the crowd enjoys the presentation, they learn about your company and the outcomes they get by working with you. At the end of his presentation, Mike directs interested prospects through your lead collection area and into your trade show booth. Your ideal prospects will qualify themselves by coming into the booth and asking questions about their particular needs and applications. Mike helps your team scan badges and collect cards, ensuring you don’t miss a qualified prospect. The prospects then enter the booth, meet with your booth staff, and learn more about your products and services. Mike repeats the process - building a new crowd, communicating your message, and collecting qualified leads - two or three times per hour. The Trade Show Funnel presentation transforms your booth into a lead generating machine. 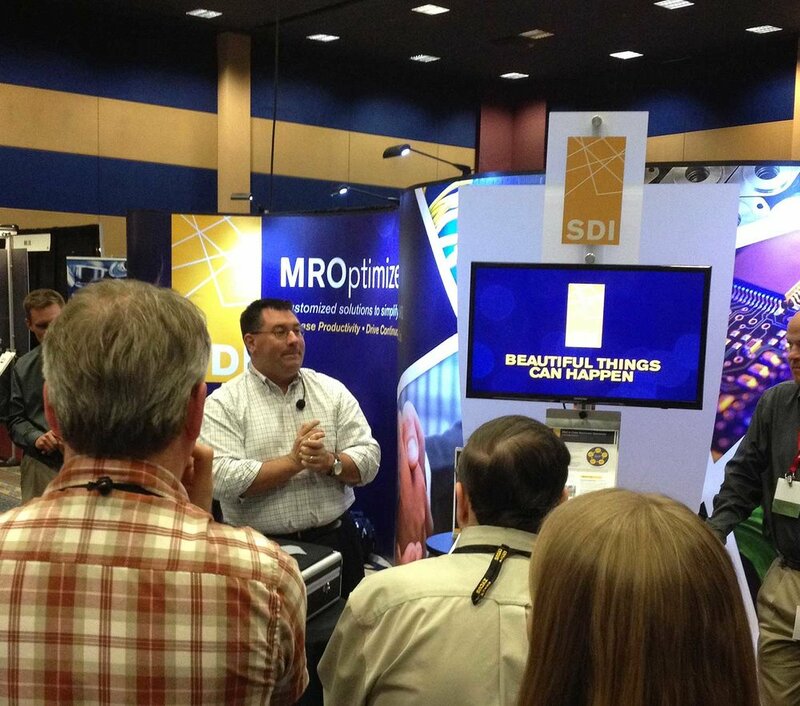 Mike’s presentation makes your booth an unforgettable part of the trade show, so your booth stands out in your prospects’ minds long after the show closes. And, because they volunteered their information when they scanned their badges, your ideal prospects anticipate your follow up campaign. Your sales team will be a “welcome guest” when they call after the show. delivers an unforgettable experience your prospects will talking about for years to come.